Ali in Wandsworth is 41-50 and is head of Canine Welfare Training at Battersea Dogs and Cats Home. Ali has worked at Battersea Dogs and Cats home for years and believes that any dog can be a good dog with a bit of love and training! 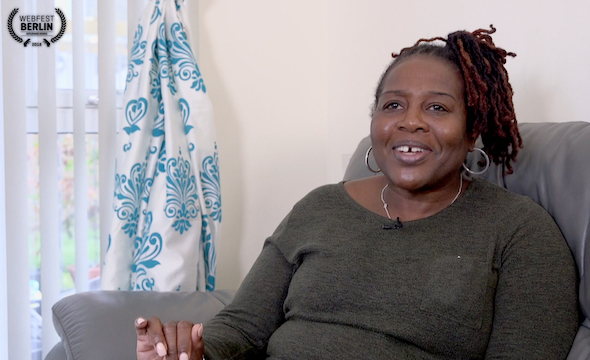 This film is part of 1000 Londoners, a five-year digital project which aims to create a digital portrait of a city through 1000 of the people who identify themselves with it. The profile contains a 3 minute film that gives an insight into the life of the Londoner, as well as their personal photos of London and some answers to crucial questions about their views on London life. Over the course of the project we aim to reveal as many facets of the capital as possible, seeing city life from 1000 points of view. What's your first memory of London? Going to Buckingham palace with my family as a kid - I had never seen a building so big! What do you miss when you're away from London? The busyness. Especially when I go to other working sites and it's always quiet. What's your favourite bar, pub or restaurant? Anything that sells food! Where would you take someone visiting from out of town? It always depends on what they're about. All my friends are quite similar to me so it's usually easy - something involving music or dogs! What's the worst journey you've had to make in London? Most journey's are horrific! It only takes one thing to stop London moving, like the Chelsea Flower show, and there's always road works on top. What's your personal London landmark? Carnaby St, for how it was in the late 70s. It reminds me of my childhood - meeting friends, having a laugh, and buying records. What's your favourite London film, book or documentary? I can' think of one. If you could travel to any time period in London, past or future, where would you go? If you could travel to any time period in London, past or future, where London in the late 70s and early 80s, for the music scene. If I could push a button and go back there everyday it would be my idea of heaven.